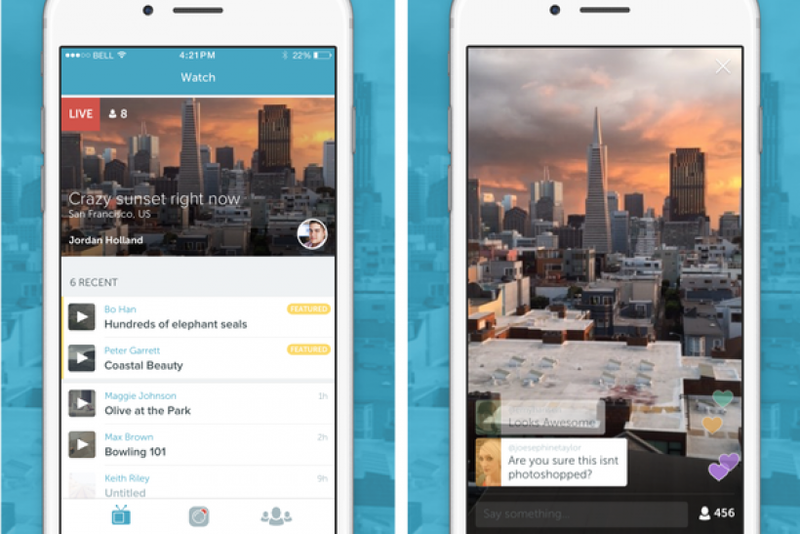 Live-streaming video via Twitter has been having a moment, thanks to the February launch of new mobile app Meerkat. And today, Twitter has released its highly anticipated Meerkat killer, Periscope, now available on iOS. Both Meerkat and Periscope allow users to livestream videos of themselves or what they are doing via their mobile phones. Since its launch, Meerkat has attracted high-profile users such as late-night host Jimmy Fallon as well as journalists. As a surprise release, Meerkat dominated conversations and Twitter feeds at this year’s South by Southwest, an annual part-tech conference, part-music festival in Austin, Texas. But a major competitor was forthcoming. Twitter acquired Periscope in January for a reported $100 million. While Meerkat was built in eight weeks, the Verge reports that Periscope has been in the works for a year. Periscope is superior to Meerkat, allowing users the option to replay and save streams for their audience; on Meerkat, videos disappear from the link after the live stream has ended. Twitter also cut off Meerkat’s access to its social graph, meaning Meerkat users cannot be automatically connected to their Twitter followers. Despite these limitations, investors have faith in Meerkat. The company has confirmed it is in the middle of a Series B funding round and has secured an investment from Greylock Partners. John Elman, a partner at Greylock, will be joining Meerkat’s board, TechCrunch reports. Hollywood has also taken a liking to the company with investments from Beverly Hills talent agency UTA and Lorne Michaels’ Broadway Video Ventures.